It's been almost 3 weeks since I have been on bedrest - 1 week at the hospital and the rest of the time at home. I have had weekly doctors appointments to make sure things are still going smoothly and so far so good. With all of the shots, ultrasounds, medicines and measurements I am feeling very confident that baby Nolan is staying put for the time being. There are no indications of impending preterm labor and I've had no other symptoms of a placental abruption. All great news. In fact things have been going so good that at my appointment last week I asked the doctor if he thought I might get out of bed rest. Without hesitation he said no, reminding me that things are probably going so well because I have been off my feet and in bed. Yeah, yeah, yeah, I guess he has a point. However he said he would be willing to discuss again once I make it to the 30 week point. The good news is that once I make it to 28 weeks I can safely deliver at the local hospital that is just 5 minutes from my parents house. Up to that point if I begin having contractions or any more bleeding I will need to go 35 minutes north to a hospital with a level 4 NICU. So, I'm looking forward to hitting that mark, especially as winter weather looms ahead. I have been keeping busy working on that long list of things I had kept putting off for another day. That list was pretty long as the current and immediate needs of caring for 3 kids tended to push many things down to the bottom of the totem pole. It has been really nice to dig into some of these neglected projects and definitely helps me feel as if I'm accomplishing something (even when my feet may not hit the floor more than 1x/day). apertOWL - if you haven't heard, a friend and I are starting a non-profit organization to provide positive resources for individuals touched by Apert syndrome. It has been quite the undertaking, especially when both myself, and my partner Kerry Lynch have been pregnant/had babies this year and now have 5 kids 6 and under between us. While it has been a slow-moving process, we are as dedicated as ever and will be rolling out the finished website in the very near future. 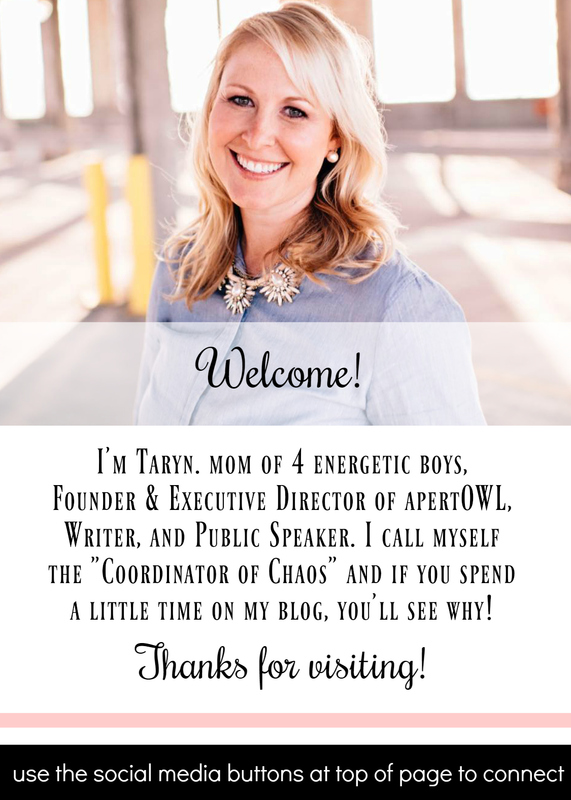 In the meantime, I'd love it if you would like apertOWL on Facebook, follow us on Twitter and check out our boards on Pinterest! Speaking of Pinterest, I have spent oodles of hours pinning, organizing, cleaning up and editing my personal Pinterest boards. In the next week or so I am going to do a blog post on all of the "things I've actually tried" (which much to my surprise is a LOT!) and share how each turned out, how difficult it was and whether I would recommend others try it out too. Stay tuned! Anywho - thought I'd throw in here a collage of my bump pics thus far. For more, be sure to follow More Skees Please on Facebook and Instagram. *DISCLOSURE: I am an Amazon.com Associate and this post contains affiliate links. I have never commented before and am a newer reader to your blog (found you through Pinterest). But was so happy to read your post today- was actually going to comment on our last one to check in if there wasn't a new post up today! As a mom who had a horribly rough pregnancy and delivered a beautiful, yet tiny baby at 30 weeks- I have been praying for you! Am so happy to hear that you are hanging in there and have made it this far! 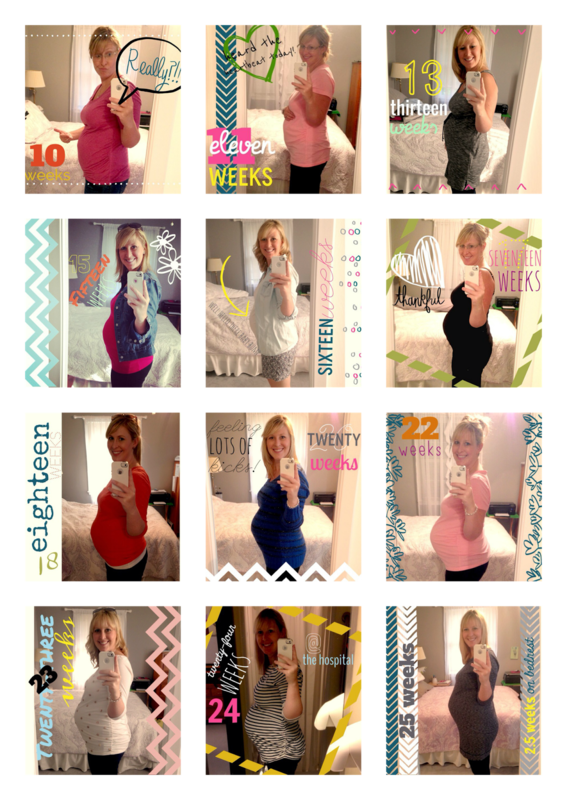 Praying for 30 weeks- and then several more after that! Hi Taryn. I have an appointment with the Children’s Center for Craniofacial Disorders for my four month old daughter. She has some swelling on the inner corner of her right eye. We thought it was just a bump and a bruise but the doc is now telling us that it could be a hemangioma. We are praying that it isn't. Hi Melissa - Hudson's slowly grew into what looked like a bump/bruise as well. It wasn't initially near his eye, but as it grew and got closer to the brow bone, they referred us to a pediatric dermatologist who started him on a liquid medication to decrease the size/growth of the hemangioma. It worked great - however I will say now that he is a year and a half, it has stopped growing but it never completely went away (although they say it will over time). Good luck at your appointment. I'd love to hear back after with an update and I'm here to answer any questions you might have! Hi Katie - thanks for commenting! I love hearing from new readers :) Yes, every week is a new milestone to celebrate for sure. Thanks for your fast response! This has all happened so quickly for us. It was confirmed by a pediatric craniofacial surgeon that is it a hemangioma. He did discuss the blood pressure medication that can shrink hemangiomas but didn't recommend it as a first option. He wants to be a little bit more aggressive with laser surgery. Thankfully we are getting to this early before the hemangioma breaks through the skin. It will take about 6 treatments spaced 4 weeks apart. I will keep you updated on her progress. Her first treatment is Monday. Pray for us! Thank you again. P.S. Your little guy is SO dern cute!